For the first three days follow the Great South West Walk. (GSWW) This is a walk that has been established since the 1980’s. It is well sign posted and you should not get lost. Head out of Portland along the Cape Nelson Lighthouse Rd and then turn left at Sheoke Rd. This goes down to the coast and about 5km from the lighthouse it goes on to a track which starts a rather spectacular walk along the cliffs to the lighthouse. Stop at the lighthouse for a snack. It may be a good idea to check for opening hours. Afterwards follow the GSWW all the way to Cape Bridgewater. This starts as a cliff top walk and then goes through the bush and eventually finishes up at the beach. After a 4.5km beach walk (lookout for the washed-up shipping container which is about 2km along the beach) there will be a small post with a red arrow pointing up to Trawalla Camp which is about 1km in to the dunes. This is a good spot to stop. It’s best not to get wet shoes as they will begin to give blisters if you have to walk in them the next day. You can even walk along the beach for a couple of kms in bare feet if you need to. You may like to check the tides if you are concerned. If you can’t walk along the beach there is a track that takes you up to Trewalla camp. There is a tiny signpost on the beach so look out for it. 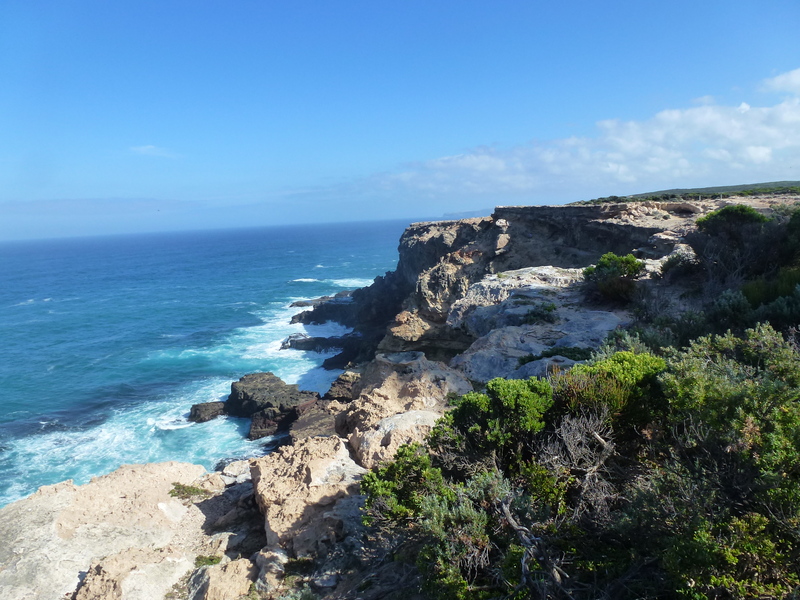 Eventually you will arrive at Cape Bridgewater at the bottom carpark where there is a little kiosk. 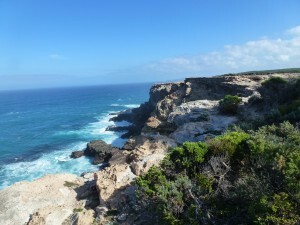 Just up the road is a school camp called Cape Bridgewater Holiday camp. This is a typical school camp. There is a camp kitchen with hot water, plates, bowls, microwave etc. If you decide not to cook you can try the kiosk on the beach. It’s best to ring ahead to see if they are open or if they can stay open for you.